Goalie Cat Robbins (Franklin MA) stopped any balls from going past her in the first half of play last Friday, in their match-up against Western Connecticut State University. 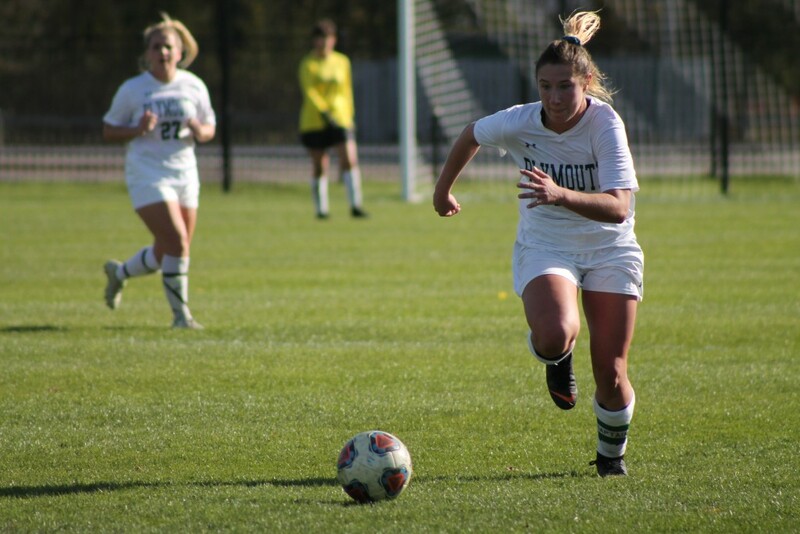 But a pair of late goals in the second half ended the women’s soccer teams season as they won’t be advancing in the Little East Conference playoffs. Gaining this win not only puts Western Conn at a record of 12-8 for the season but also secured them the top seed. As mentioned before, it was a scoreless first half, but the opportunities were there. Western Conn had a chance just under ten minutes into the game, but Robbins got in front of it; a big trend in this half. Robbins had eight saves throughout the game, number two happening shortly after. But it wasn’t all Western Conn, as PSU had three shots taken by the underclassmen. Mallory Lloyd (Hartland VT), Madeline Parisi (Hillsboro NH) and Hicks all got denied from their shots on goal. With that, we entered halftime, the game in anybody’s hands. Just a few minutes into the second half, Western Conn got themselves a free kick and was able to get a foot on it and sneak it past Robbins. Plymouth was still in the competition, but it was a lot of defensive activity for the Panthers. About 20 minutes later, Western Conn wanted to seal the deal and grabbed another goal after chipping it into the top corner. With only a few more minutes left of play, Western Conn was able to control the ball on their half and walk away with a 2-0 win. “We dominated every game we just couldn’t finish… we had a lot of freshmen join the team this year, and a lot of us got playing time… we did not have a lot of experience” Hicks said about weak and strong points of the team this season.